This fine weather route links easier walking in the Dart and Matukituki Valleys, with the eastern end of the route at Aspiring Hut by the Matukituki River West Branch and the western end at Dart Hut on the Dart Track. Mt Tyndall • By bernieq. Licence: cc by-nc-sa. Young Hut • By ellaleah. Licence: C.
An extended and challenging traverse of the Main Divide is possible from the Young and Wilkin Rivers near Makarora over Rabbit Pass, along the East and West Matukituki Branches to Cascade Saddle, down and across the Dart River to the Rock Burn and Routeburn Tracks, to the road at the Divide. The track climbs easily from Aspiring Hut to the bush-line and follows a poled route to a marker pylon at the highest point. From here it drops into Cascade Creek and follows it toward the saddle. Before reaching it however, the route crosses and drops to a moraine wall alongside the Dart Glacier. 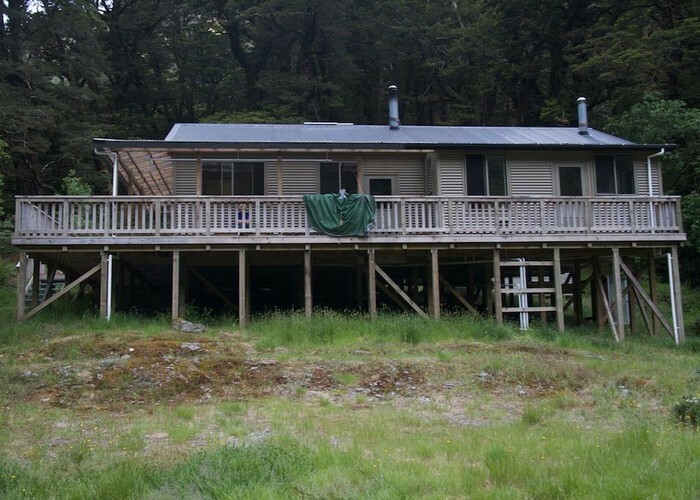 The valley is followed down to the confluence of the Dart River and Snowy Creek where a bridge and hut are located. 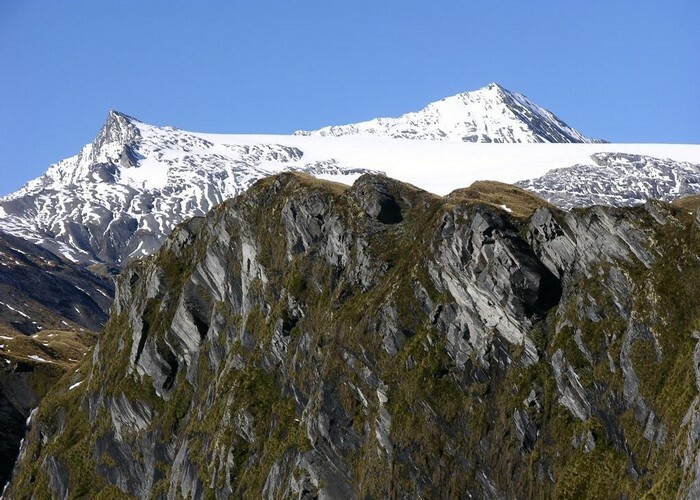 Honora Rabbit Pass is best done from the Wilkin to the East Matakitaki. The Waterfall Face is quite steep with not a lot to hold on to. I believe the route has been bolted for guiding parties. I descended Waterfall Face in the rain and it was not nice. I just about kissed the flat ground in gratitude when I got to the bottom! Added 1 July 1998 by MatthewMatthew. No revisions.